Having a healthy sewer system keeps your home running smoothly, and because of this, even small leaks can lead to massive property damage that are expensive to repair. Leaks are capable of forming in pipelines from a number of factors, such as shifting soil, the winter cold, fire damage, and landscaping mistakes, but at Bob Oates Sewer and Rooter, we have the solutions needed to eliminate these leaks quickly and efficiently. For our residents in Greenwood, we offer home repiping solutions to restore their sewer systems and keep the flow of wastewater running smoothly through their pipelines. Traditional methods of repair need extensive digging, but that’s not necessary in the latest innovations we utilize for restoring pipe systems. 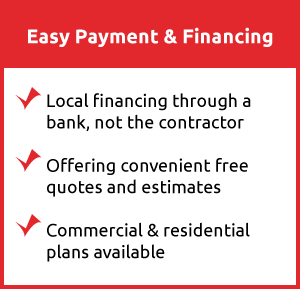 Here at Bob Oates Sewer and Rooter, we use the most advanced technology to start a repiping alternative that eliminates excavation. We recommend getting camera inspection to see small problems before they get big. There are a lot of reasons why businesses and homeowners need to get repiping done. In older homes, common pipeline materials such as copper and galvanized steel are used, and these materials are prone to developing pinhole leaks, cracks, and suffering from corrosion. Our inspections will reveal rust and calcified deposits that have become trapped in the pipes, and with this information, we will be able to fix these problems with complete accuracy. Home repiping allows us to effectively replace the old pipes in your home with new, more resilient liners. Our technicians carry out home repiping without needing to dig trenches or break down walls in your home. We use the best lining material to make sure that, after our job is complete, your new pipes will last for at least fifty years or more. This process involves inserting a liner coated with epoxy resin into the damaged pipeline. This liner is set into place through a small hole or already existing access point, ensuring that if there is any digging that needs to be done, it is minimal and non-invasive. Once the liner is in position, it is inflated to match the diameter of the pipeline. The epoxy resin that is coating the liner is transferred to the inner walls of the damaged pipeline, and the resin seals away any leaks and cracks no matter how small they are. After the resin is thinly and evenly applied to the pipeline walls, the liner is removed and the resin is given time to cure and harden. This curing process takes anywhere from a few to several hours, but within a single day, your old, cracked pipeline is replaced with a new, smooth, and durable liner that will have a long and healthy lifespan. This type of trenchless technology has a lot of benefits for our customers, restoring the entire pipeline system to a better state while eliminating future problems from becoming disruptive emergencies. The water flow is noticeable enhanced and improved, allowing your home’s sewer system to function at optimal conditions. If you ever find yourself needing to have your home’s pipelines repiped in Greenwood, our technicians will be there promptly and provide the high-quality services. 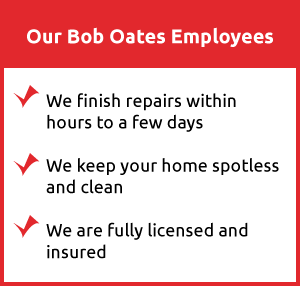 You can count on Bob Oates technicians to arrive on time and carry out pipe lining efficiently, and we pride ourselves on being one of the best in the region. Call us today and experience trouble-free repiping for your home at a fraction of the price!